Researchers reporting in the American Journal of Human Genetics, published by Cell Press, have completed the first in-depth genetic analysis of a Neanderthal Y chromosome. The findings offer new insights into the relationship between Neanderthals and modern humans and some of the genetic factors that might have kept the two lineages apart. The Y chromosome was the main component remaining to be analyzed from the Neanderthal genome, the researchers say. 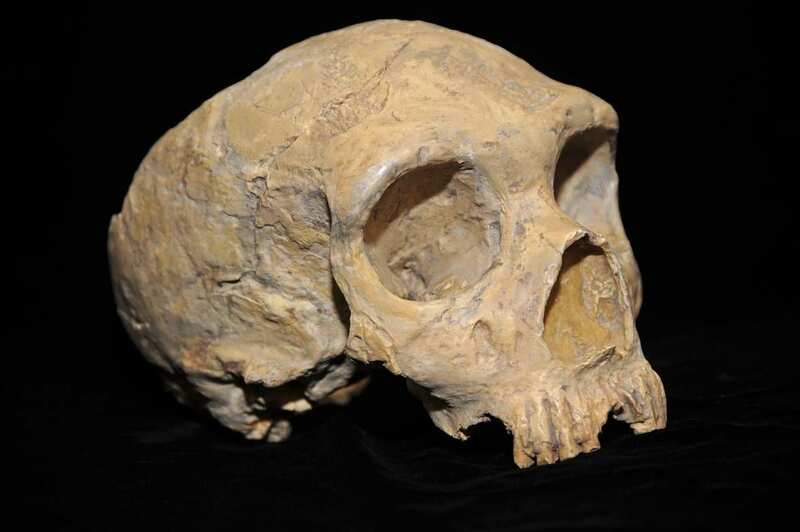 Mendez and his colleagues, including Carlos Bustamante, also at Stanford, and Sergi Castellano, from the Max Planck Institute for Evolutionary Anthropology in Germany, analyzed the Y chromosome from a Neanderthal male found in El Sidrón, Spain. Their analysis suggests that Neanderthals and modern humans diverged almost 590,000 years ago, consistent with earlier evidence. The researchers say that the Neanderthal Y chromosome they sequenced is distinct from any Y chromosome observed in modern humans, suggesting that the lineage in question is to be extinct. They also found some intriguing protein-coding differences between genes on the Neanderthal and modern human Y chromosomes. Three of those changes are missense mutations in genes known in humans to produce male-specific minor histocompatibility antigens. Antigens derived from one of these genes, known as KDM5D, are thought to elicit an immune response in some pregnant mothers against their male fetuses and lead to miscarriages. The researchers speculate that incompatibilities at one or more of these genes might have played a role in driving ancient humans and Neanderthals apart by discouraging interbreeding between them. “The functional nature of the mutations we found suggests to us that the Y chromosome may have played a role in barriers to gene flow,” Bustamante says. “The finding that most of the functional differences associate with these genes, rather than with genes involved in [sperm production], came as a surprise,” Mendez adds. The researchers say additional research is required to confirm the role of those Y-chromosome mutations in discouraging the formation of a hybrid Neanderthal and human species. They are planning those experiments now.